About 350,000 federal employees currently on furlough are all but assured to receive back pay, with the House on Friday sending a measure to President Trump's desk to guarantee retroactive compensation once the partial government shutdown ends. Trump has indicated to lawmakers he will sign the legislation. The House passed the 2019 Government Employee Fair Treatment Act after the Senate approved it Thursday evening. 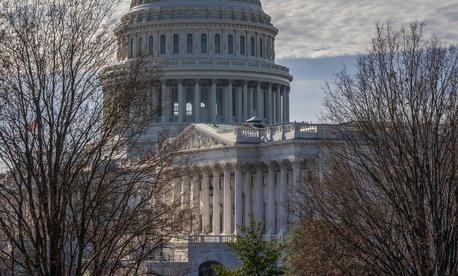 The bill both guarantees back pay for furloughed workers and ensures that the roughly 500,000 employees working without immediate pay during the shutdown are able to take previously scheduled leave without consequence. Current governmentwide guidance requires agencies to cancel leave for those workers. The Senate only took up the measure after some drama Thursday evening. Sen. Tim Kaine, D-Va., threatened to block a unanimous consent vote to adjourn the chamber for the day—and, with no votes scheduled for Friday, effectively for the weekend—unless Majority Leader Mitch McConnell, R-Ky., agreed to bring up House-passed bills to reopen the government. McConnell instead agreed to take up the back pay bill, but only after receiving assurances from the White House that Trump would sign it. Some lawmakers are pushing for additional back pay legislation to ensure that contractors going without pay also receive compensation for their time off. The 2019 Low-Wage Federal Contractor Employee Back Pay Act (H.R. 339), introduced by Del. Eleanor Holmes Norton, D-D.C., would compensate contractors who provide retail, food, custodial and security services at federal agencies shuttered during the partial government shutdown. Norton introduced similar legislation after the 2013 government shutdown, but it never received a vote. Thirty-three Democratic senators wrote to Office of Management and Budget acting Director Russ Vought on Thursday, pushing him to direct agencies to work with contractors to ensure those workers receive back pay when the government reopens.